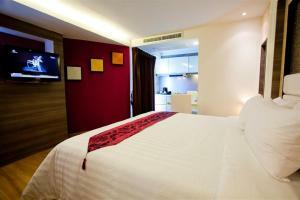 iCheck inn Residences Sukhumvit 20 offers free WiFi and a small outdoor pool. 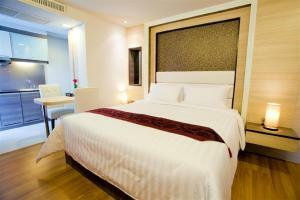 Asoke BTS Skytrain Station is accessible by the free hotel shuttle between 10:00-19:00 hrs. 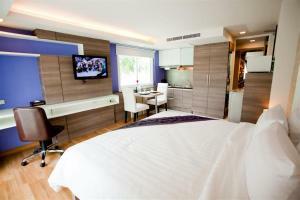 The contemporary rooms at iCheck inn Residences Sukhumvit 20 are equipped with air-conditioning, flat-screen cable TVs and private balconies. 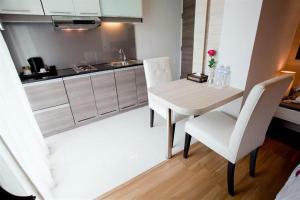 They also come with a kitchen and dining area. 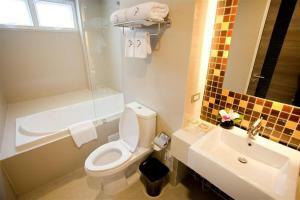 The en suite bathroom includes free toiletries and a hairdryer. 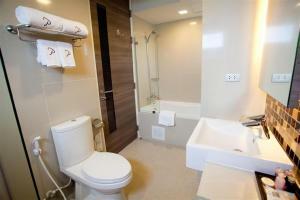 The hotel offers a 24-hour front desk and laundry service. 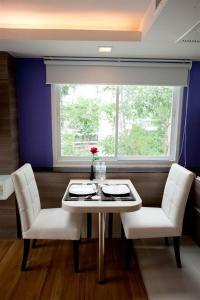 Other dining options are available at the nearby Sukhumvit entertainment area. 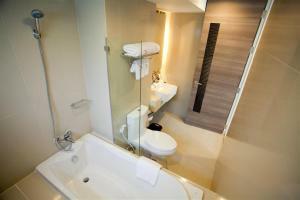 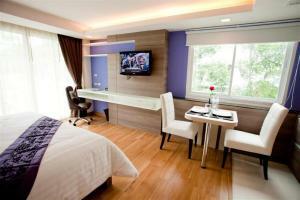 iCheck inn Residences Sukhumvit 20 is about 20 km from Suvarnabhumi Airport. 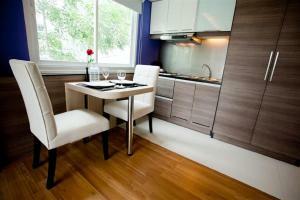 Deluxe Suites are equipped modern kitchens, dining area, and private balconies. 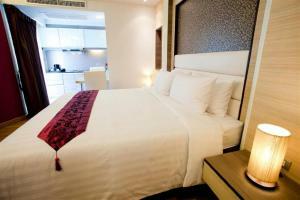 Rate: THB 1399.00 ... THB 1999.00; select dates below to get current rates.